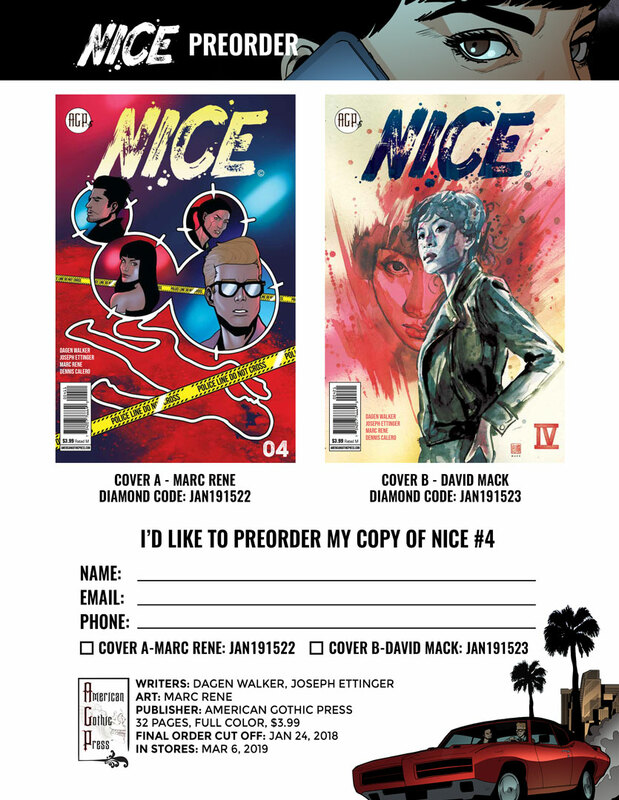 The final issue of NICE is now up for preorder in the January issue of Diamond PREVIEWS. We’ve made it easy for you. Just grab the preorder form below and take it to your local comic shop before January 24! Issue 4 closes out the NICE miniseries. What’s all this been leading to? Kevin goes after his towed GTO and encounters a strung-out, drugged Hanin looking for confrontation. But are they really enemies, when the cards are down? Should they be working together instead? Either way, NICE has their crosshairs fixed on someone important, and it’s bound to be a bloody finale!